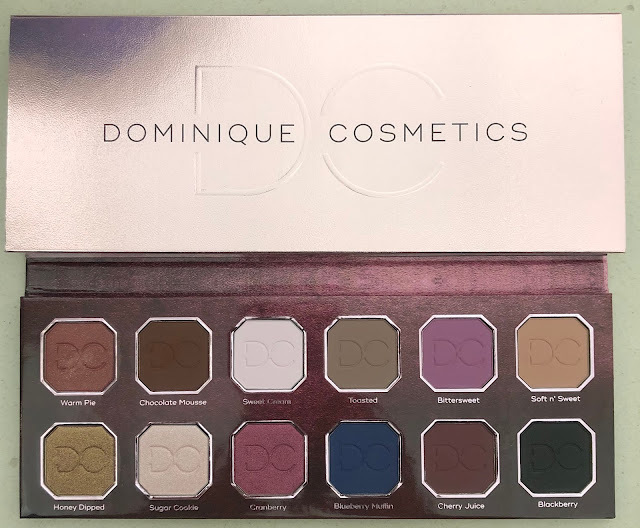 Dominique Cosmetics is a relatively new brand that was created by beauty influencer Christen Dominique from YouTube and Instagram. 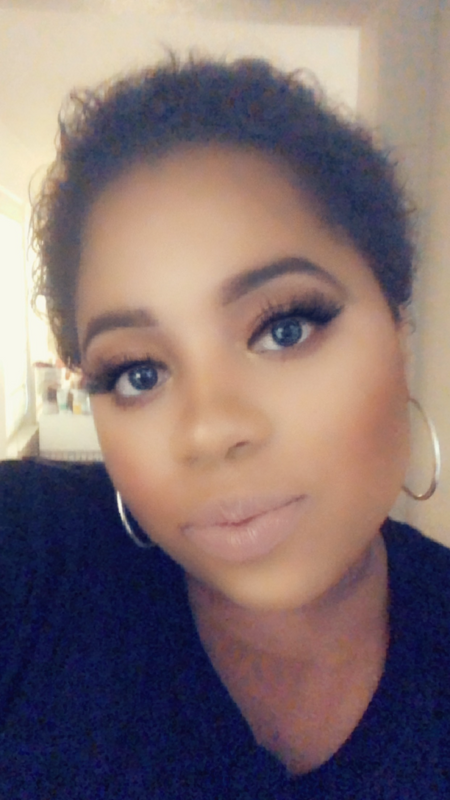 I have heard so many great things about this brand and wanted to try her products for a while. I was super excited when I saw this eyeshadow palette because the color story is everything I am obsessing over right now. I am living for the dark frosty cranberry vibes and the pop of blue. This palette retails for $44 on the brand's website and Sephora. 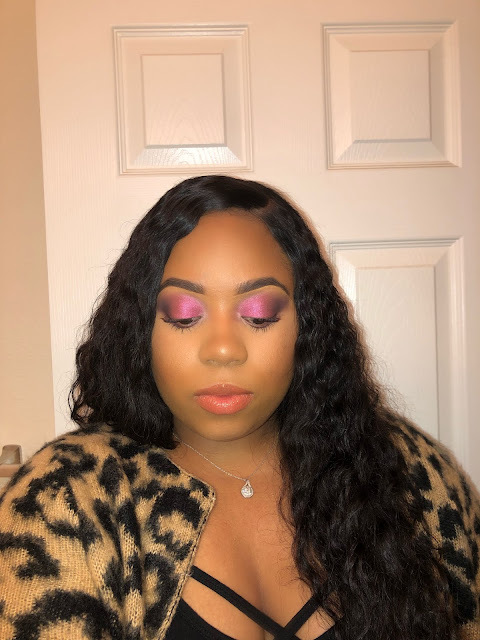 Review: This eyeshadow palette is EVERYTHING! Every shadow is super creamy and blends so well. I am really in love with the shimmer shades in this palette. Each shimmer shade is so pigmented and creamy. You do not need to wet your brush or apply the shadow with your finger in order to get a blinding metallic effect. The matte shadows are also the bomb. They blend so effortlessly and are very pigmented, and I was pleasantly surprised there was no fallout. My favorite shades in the palette are Sugar Cookie, Cherry Juice, and Bittersweet. Sugar Cookie is the most beautiful light frosty pink with tons of shimmer. I loved applying it all over my lid and my inner corner. I can't say enough good things about this palette. If you have been eyeing this product, treat yo self girl! It is soooo worth it! I used the shades Toasted, Cherry Juice, Blackberry, Cranberry, & Sugar Cookie. 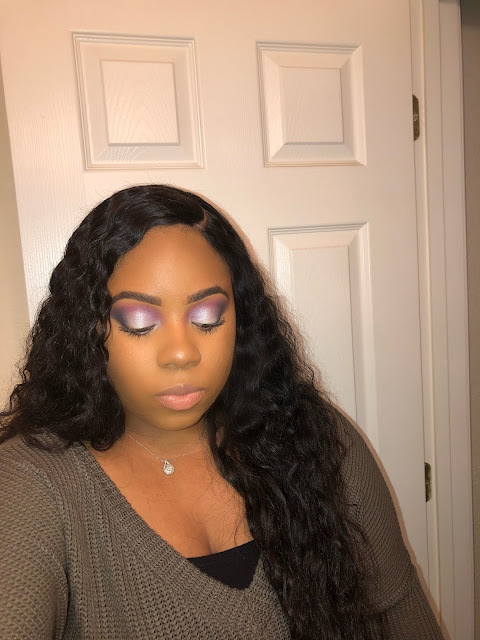 I used the shades Soft n' Sweet, Bittersweet, Blueberry Muffin, & Sugar Cookie. Check this out! Christen liked my post using the palette! I was so juiced when I got this notification! That's all for this week folks! Don't forget to stop by next week because we are going to be talking all about drugstore products. Have a great week!